April was overall a terrific month for cryptocurrency growth. After diving for the past three months, demand is back, and prices are on the rise. All major coins and tokens on the rise. Screenshot from April 24, 2018. 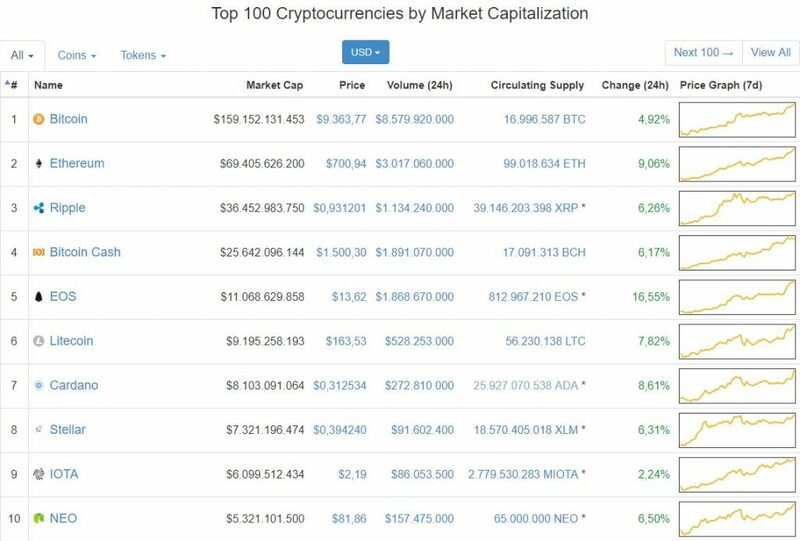 Thank you, coinmarketcap.com. 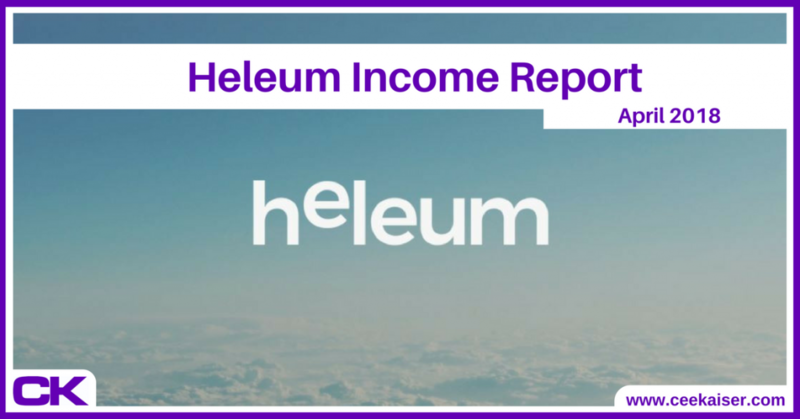 As you know from my Heleum Income Report March 2018, on April 3 my Heleum account held 717 USD. 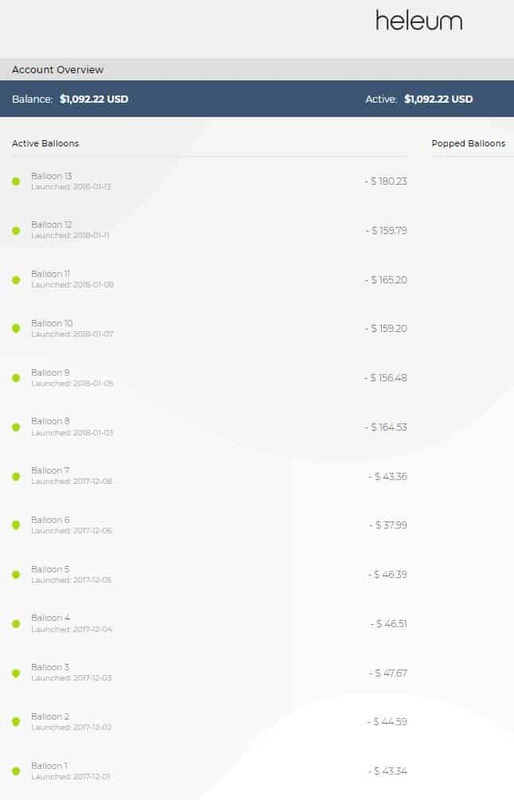 28 days later, on May 1, this has increased to 1,092 USD. We all know we can’t turn back time. But with Bitcoin still trading below 9,000 USD as I write, chances are the growth streak isn’t over quite yet. Still enough time to jump on board and invest with Heleum. It’s free. On the downside, all my balloons are still in the reds. Fingers crossed the trend keeps on going – I’d love to see my first balloon pop one day! In addition to market conditions looking favorable and cryptocurrencies being on the rise again, one other argument makes me look forward to May a lot: Heleum promised to finally release its version 2.0! Lots of improvements are underway, including stop loss mechanisms and smarter investment algorithms. Let’s see how that will affect the balloons. I’ll surely keep you updated. To stay in the loop on all the latest developments, sign up to Thursday Thoughts, my bi-weekly newsletter, right now! It’s free, very informative and potentially even entertaining, they say.